The Sarasota County School District will host two public “listening sessions to identify opportunities to improve pedestrian and bike paths around Sarasota High School,” the district announced this week. Those meetings will be held from 6 to 8 p.m. on Tuesday, June 19, and Tuesday, June 26, in the Sarasota High School cafeteria, a news release says. That facility is located at 2155 Bahia Vista St. in Sarasota. With the extended closure of School Avenue planned to begin with the start of the new school year in early August, school district staff and the Sarasota City Commission are seeking public views on “ideal walking and biking conditions that meet the needs of the community,” the release adds. 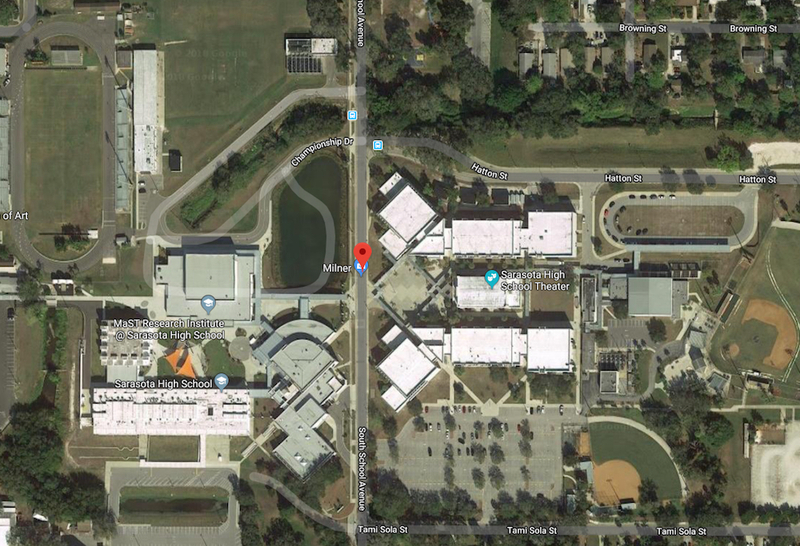 Last month, both the School Board and the City Commission agreed to a new interlocal agreement that will keep School Avenue closed through the Sarasota High campus from 6:30 a.m. to 10 p.m. every day the school is in session. Additionally, school district staff has begun the process of requesting a permanent city vacation of the segment of School Avenue between Tami Sola Street and Hatton Street.